Last night was fun! We all need a break from the grind of our on-going routines and a cold night of photographing star trails and roasting hot dogs in a bonfire was the perfect ticket. The Photo Society here at the University of Central Missouri has been very engaged this year in various activities and this event was one of them. The society had invited my colleague, Prof. Wilson Hurst, to share his experience and knowledge of shooting star trails, which he readily did. 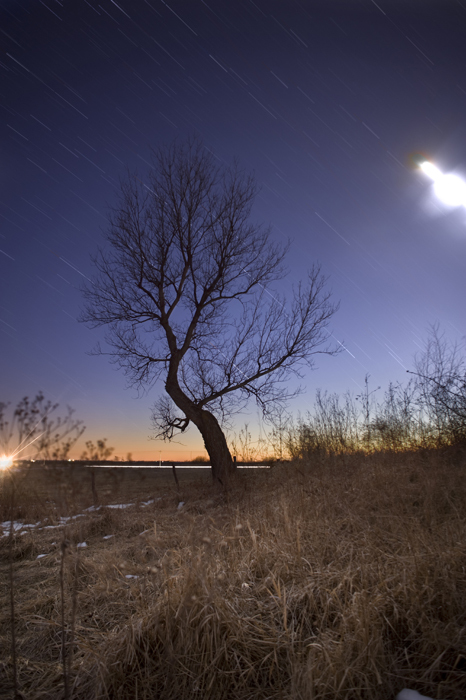 Fortunately for all involved, one of our students has a 156-acre farm not far from the university and she volunteered her place as the site for this nighttime experience. But wait! Not only did she let over 25 students and faculty wonder through the pastures, she and her husband provided a great bonfire for roasting hot dogs and s’mores! 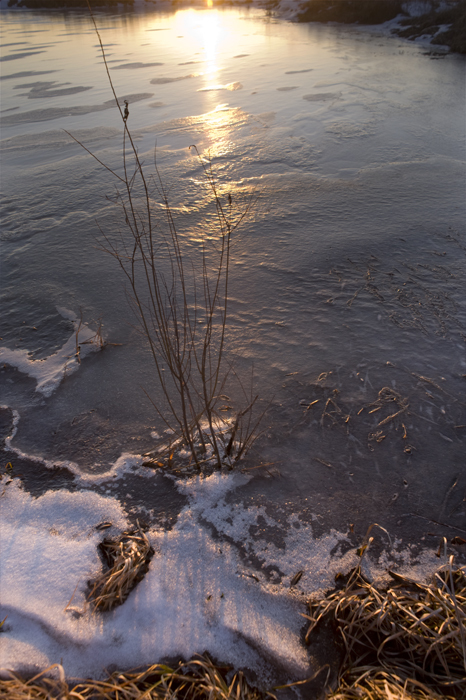 I was the first to arrive before the sun slipped over the horizon, so I managed to pull off a few shots of a small frozen pond on the south side of the farm. It was so peaceful there; I laid down in the matted grass, pulled my parka hood over my head and almost fell asleep. But before I knew it, about 20 folks showed up at the very spot I had found for myself and tripods were lined up like opening day of trout season at Bennett Springs! All joking aside, it was a great evening to be photographing stars and enjoying the warmth of the bon fire with students and faculty alike. Sometimes we need to engage our students outside of the classroom, and this was one of those perfect opportunities! This was only my second time to attempt shooting star trails and fortunately, I managed to get Prof. Hurst to help me with his secret methods of post-processing these types of images. I’m much happier with this result than my first attempt!